In the event of a spill, the MPA will need a list of documents before a ship is allowed to depart. 5. MPA may require a photo report to verify condition of affected shipside. If shipside is stained, shipside cleaning will be required before departure. Spica also notes that in recent cases the MPA has not only boarded the vessel, but also taken the master and/or chief engineer ashore for interviewing. The MPA will also usually ask for a letter of undertaking (LOU) to be issued before the vessel is allowed to depart. Furthermore, Spica informs that the MPA is increasingly asking for the LOU to be both signed and stamped by a local correspondent, and received in original form, before the vessel is released. This may marginally increase the time taken to deliver the LOU compared with the past, Spica explains. 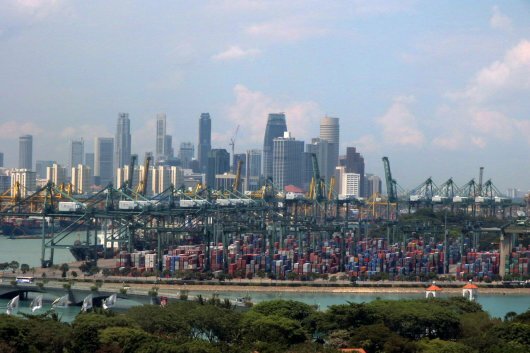 As previously reported, Singapore-registered ships should notify the MPA "immediately or at the latest, within 2 hours" of any marine casualty or security-related incidents via an 'initial alert'/'initial report'. The incidents requiring an initial alert include those that result in "severe damage to the environment, or the potential for severe damage to the environment, brought about by the damage of a ship or ships", which could include pollution from bunker fuel and damage to a vessel's fuel tanks resulting from a collision.